Q : What were the real threats from the Sri Lankan diplomat aimed at you regarding CHOGM and your intended visit to Sri Lanka? On that basis I announced that I was applying for accreditation as a journalist at CHOGM. I attended CHOGM in Perth as a fully accredited representative of the press, and I certainly expect to do the same in Sri Lanka. Sri Lanka’s Consul General in Sydney, Australia, Bandula Jayasekara, who is not only a senior diplomat but was also once the Presidents Media Advisor, responded with a series of tweets. Many were simply absurd – for example accusing me of being paid by “terrorists” despite my clear statements that the LTTE too, are guilty of war crimes, (as more than adequately explained in Ceylon Today a couple of weeks ago). With that incredible remark Jayasekara has profoundly embarrassed both the British and the Sri Lankan governments. He has shown – unless his government disowns his remarks – that the GOSL has no intention of respecting the international media’s right to “unrestricted access” to do its job. He has also left the British government in a position where it has no choice, if it is to be consistent, but to refuse to attend. Unless, of course, the Sri Lankan government disowns Jayasekara’s remarks and makes out clear that I – and all other legitimate foreign journalists – will be welcomed in Colombo in November. There is another real problem with Jeyasekara’s intemperate language and his absurd threats to “make sure” I don’t get a visa. In a democratically accountable nation which operates according to the rule of law, a consul General in Australia has absolutely no right to unilaterally declare he can “make sure” someone doesn’t get a visa. That he even thinks he has such power it is disturbing – if he actually has such power it is doubly so. Another said: ‘Callum Macrae – do not come to Sri Lanka. You will be abducted in a white van, and sent to meet Lasantha Wikremasinghe. (sic)’ I do not need to tell a Sri Lankan audience what those threats mean. What do you intend to do if you don’t get to come for CHOGM? I think the question is not what do I intend to do, if I am refused a visa, The question is what does the UK government intend to do if I am refused a visa? Also what was the real allegation of screening your documentary in Malaysia? Why were the organisers arrested, and why would you have leave to leave in a haste without confronting the officials. What could have possibly happen if you had faced them? The organisers – an group of Human Rights defenders in Malaysia called Pusat Komas, were arrested on technical charges – which they completely reject – of having breached some censorship regulations, The fact is this was a private screening and so did not require any such censorship approval. But the issue goes beyond that technicality. What lay behind the raid, it seems, was a series of efforts by the Sri Lankan Embassy to put pressure on the organisers -and the owners of the venue – to cancel the screening. They both refused. In fact the Sri Lankan government has tried through its embassies, to stop almost every screening we have had. They tried at the UN, they tried at the European parliament, they even tried to stop the screening in the Australian parliament. They tried again in Malaysia. They have never succeeded. Every screening has taken place – even the Malaysian screening took place, despite the 40 or so police and Censorship Board members who took part in the road. What makes you visit commonwealth countries before CHOGM? Commonwealth nations need to know what happened in the country which is hosting CHOGM. Then they have to ask themselves whether a regime accused of some of the worst war crimes of this century – a regime which is silencing its critics and has even attacked its own judiciary – is appropriate to spend the next two years leading the Commonwealth’s drive to defend its core principles of human rights, democracy and the rule of law? Are you promoting the commonwealth country not to visit Sri Lanka for CHOGM? My job, as a journalist, is to tell the truth about what happened at the end of the war in Sri Lanka. I want countries to make up their own minds on whether attending is right or wrong – but I want them to do it fully appraised of the facts. I will endeavour to continue telling the world about the facts. As a journalist, why do you take such stern steps apart from highlighting the war crimes? what is the end result you expect? I am a journalist. I have researched and investigated this story for three years. My films have been subjected to the most intense scrutiny and every credible and serious analysis has concluded that we got the story right. It is, quite simply, my job to tell this story. When vested interest claim it is false, faked, or paid for, that merely increases my determination – and my duty – to tell that story. Its called journalism. Its our job to hold governments to account. Any journalist who does not hold their government to account is either not worthy of the name, or is operating in a country where the press is not free. Do you do the same with other finding in other nations, to see an end result, or have you just picked only on Sri Lanka? Going by the present scenario, do you think you would be issued the visa to attend CHOGM? I can’t see how the Government of Sri Lanka can refuse me. And if they do refuse me I cannot see how the UK can, in all conscience and given the letter from Alistair Burt, agree to attend. Are you taking up the threats posed to you by Sri Lankans to your Prime Minister and other UK Parliamentarians? The threats to me – whether by anonymous people on the internet or by foolish diplomats in Australia – are not the issue. The issue is that I expect to come to cover CHOGM – and I cannot see any conceivable grounds on which the Government of Sri Lanka could justify refusing me. Consul General in Sydney, Australia, Bandula Jayasekara said, “Yes, I have been tweeting about Macrae’s LTTE propaganda. He is a paid LTTE mercenary and as a citizen of Sri Lanka, I will not allow him to come to Sri Lanka on any ground, although it is the Commonwealth Secretariat that decides who should come for CHOGM. When questioned why the Sri Lankan mission failed to stop him from screening his documentary in Sydney, which he did twice, Jayasekara said Macrae is supported by MPs there, however, no one takes notice of him or his film. He also said, all media personnel attending CHOGM will be screened before issuing the visa and that this is applicable for Macrae too. “It is too early to predict about Macrae’s visit. We are highly concerned about the activities that are going on overseas, especially by the Diaspora. “It is little too premature to talk about Macrae’s visa and we will have to wait to see how it is handled by the Ministry of External Affairs,” the minister said. We will use the British Precedence. If you don’t know what this particular precedence is , please call your mate and mentor the, leader of the GTF Reverand B T Emmanuel. Why don’t you spend your time giving some much-needed advice to your fellow-idiot, Keheliya? Perhaps on sky-walking (the family version) or something else you idiots can do to the advantage of the rest of the sane and ecent world? So you have police in Sri Lanka. What is that? Callum Macrae is of the same caliber as the famous truthful, independent journalist, John Pilger. Truth often hurts some people. How many commonwealth conferences has he attended before? Is this his first? Read the bloody interview in full! Are you nuts, these illiterates can’t read and this particularly idiot’s “translator” was away bootlicking and couldn’t do the needful. Two US bloggers were banned from Entering the UK. That could be the template for Callum Macrae as well. 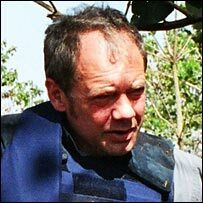 Sinhalese claim that this British journalist is getting extra cash or extra income from LTTE for his work. Okay, how many Mesarsties or sport Mercs does he has? Are these British journalist who get paid enough to live honorably, will do dirty things, completely opposite of their profession. for small money!!!! Now all 3 sons of MR brought special sports cars recently, they didn’t even tried make it secret. Toyota Prado worth $150,000 (Rs 15 million) in SL. I believe you can guess the value of those sport Porsche type cars in SL? Aren’t these three Rajapakse princes in LTTE pay role?? Are they stealing from their king farther? Or Are they directly stealing from SL people? I also bet N of the direct snd extended family members of SL royal family had passed GCE O/L in the first attempt? Callum Macrae is an investigative journalist, who investigates and exposes many issues including alleged war crimes committed by the western countries; this is his job. He counts his timing till your idiocy speaks out. Look where Rajapakses get their money from following web…..
Now do you see where they get their Money from. Please do more internet search. As for Callum Macrae’s visa, I think Sri Lanka Government should act more Mature. Whoever who does Politics should know how to bare criticism and that is part of political life. After all, all the Politicians themselves are Liars, cheaters, robbers etc,etc, and we citizens have tolerated them enough right through out. So why the double standard for Kellum. It is upto the citizens to decide who is lying and who is not. What Bandula Jayasekara should do is not to restrict Mr.Kellum but Prove to public if Kellum is telling lies. Remember nobody is guilty until proven. This is not the way to solve Political issues, specially with investigative reporters. Politically I think Mr.Kellum Macrae is entitled to be in Sri Lanka for CHOGAM. Not only Callum, but all our Sri Lankan Reporters, Media personnel and Journalists who are in Excile abroad due to media supression,should visit Sri Lanka during SHOGM. I am yet to see the CHOGM formal Dinner Menu and the cognac/cocktail/wine list. Have you ever given thought to what happened to the gold that was taken from the Tigers and the banks in the north? These “spoils of war,” like the “spoils of peace” belong to the Rajapassas to do with what they please. How dare you even refer to their Maseratis and Lambhorginis? They will even give you a vehicle very soon: a white van. last King who was exiled by the British to India. Yes, he is not a good journalist. He makes him important repeatedly saying that his work brought that much. In fact, contents of the his films have NOT yet been proved. So it is easy to produce such films today to any average person using all the sophisticated techniques available. How many of the you tube films are seen authenticated ones today ? I am against MR regime, but I would also not pro guy to this kind of swollen pricks like Callum. He is absolutely a disgusting commentator. This he himself proved several occasions being on forums. By the standards of Samare himself who can’t even string together ONE sentence of simple English! please check his responses in this forum. And the films that he produced are not documentary with provable facts. None of them are proved yet. What is a documentary with provable facts? There are numbers of students or others from srilanka whose applications have been rejected by british embassy in SL for no acceptable reasons. So if Callum as just british citizen but a journalist to get his visa application rejected – cant be a big issue I think. I am against current rule of srilanka, but I am also not journalists like Callum entering our island because of the fact that he is just a businessman who produces the films for his own sake. Having watched a forum in which he was asked to respond the questions made by the BBC moderator, I myself felt Callum failed bring and constructive answers to any of the series of questions. And the issues that his films and articles have not yet been investigated. Nor have the substance admitted as the facts. Just for this reason, I feel he is just man who is trying to fish in mud waters… making use of the alarming issues related to ours and other poor nations. Many foreign governments have refused visas to private individuals who have done no harm to their countries leave alone anti government activities against other countries like UK, USA, Canada etc., in their attempts to visit from Sri Lanka. Sometimes family reunions, birth of children, a dying family member could not see a relative because Sri Lankans were refused visas without any explanation. Here’s a proven case of misinformation against a sovereign nation regardless of the government in power. Sri Lanka has every right to deny visas just as Sri Lankans are denied. I know of Sri Lankan Muslims who have nothing to do with Al-Qaida except carry names similar to those on “No Fly” lists being refused visas. Sri Lanka has every right to refuse anyone and just as some nations do, and not be obligated to give reasons. Here there is a valid reason — distortion of information and being biased to the terror group declared by the FBI as the most ruthless in the world, being studied by the Mackenzie Institute report that places the LTTE as the top 3 most brutal terror outfits in the world, why should the Sri Lanka Government ever let such a supporter set foot on its soil? SAUCE FOR THE GOOSE SHOULD BE SAUCE FOR THE GANDER TOO. Don’t give visas to those who are there to disrupt Sri Lanka. Srilanka like any other country has the right to reject entry to any visitor on whatever grounds which dont always have to be explained or justified. While I am all for free press, this so called “journalist” should be denied entry if the Government feels it is in the best interest of our country. Callum has not shown himself to be a good journalist but simply someone who has twisted and moulded facts to suit his agenda as supported by the Tamil diaspora. Dont let him come! Bandula Jayasekara, is this the same person who lost his wallet in a [Edited out] house in Geneewa while giving his best service to the mother land. could someone correct me if I am wrong? Motherland or mothers land. I thought now it is brother’s land. Amazing that a planned visit by one journalist can cause such a panic reaction in government circles. Respect to Callum for even proposing to visit a country where human rights abuses are a way of life. Are you really telling the truth to the world. go and review your killing field documentary, you have shown the photograph some Tamil people are coming out from bunker crying and weeping that photo shows and give opinion to the general public those people were attacked by SL forces or there were blast in civilian area, but we have seen the full photograph of that picture, it shows there was a little girl taking photos of the same incident, how come that little girl were able to take the photo without any fear if there were attack. You have shown part of the that photo in your documentary give to the world at large wrong opinion that SL army attacked the innocent civilians, therefore we can clearly say you are a paid agent of Tamil Diaspora to discredit the SL Government and SL people. How did you do your research as you mention in earlier article, did you only receive part of the that photograph from LTTE agents. We believe any Commonwealth principle will not accept ,paid terrorist agent hiding under the label of journalist visiting any Commonwealth member country. My job, as a journalist, is to tell the truth about what happened at the end of the war in Sri Lanka ??????????? So much panic over a journalist by sons of the soil. the so called bbs Sinhala patriots who will go to any lenghts to kill journalists like Lasantha and others. but the question is do they have the b.. to kill a white journalist? will they get away with it even if the order come from the 7 eleven manager? It is true that the two Callum Macrae films about Sri Lanka that have been publicly released are better described as propaganda rather than documentaries as they are highly selective in the information they convey (e.g. equating the Tamil Tigers and northern Sri Lanka with “the Tamils”, no mention of nearly 400 sucide bombings, no mention of huge numbers of Tiger ceasefire violations, etc.). Many other countries, including the UK itself and India also, have banned foreigners for inciting ethnic and racial hatred, which is what Macrae does also with his one-sided propagand, as we saw recently in Tamil Nadu. But it may be better to allow him to attend the conference and then give Sri lankan people the opportunity to publicly and verbally expose the distortions in his flms and interviews. Especially as he appears to want to get himself banned as a publicity stunt for his films. But people should not be distracted by his antics, as Callum Macrae is only a small sideshow to the main purpose of the Commonwealth Conference. It is not true. Please believe me I don’t lie I am a Sri Lankan. Candidly, they sweetly tells the truth to your own eyes. Don’t oppose your vision, it is WYSIWYG – What You See Is What You Got. This trouble maker should not be tolerated in SL . CM poses a threat to the national security of SL .Bradley manning is charged on “Aiding the enemy” in the USA. Foreign Ministry take note of this clause . Leela incarnate. Swabogini orders the Foreign Ministry to take note of the incessant threat of Calum. Egotism, that so much of power vested on these cowdung fed animals. Dear Mr.Macare, thanks, but NO THANKS. You are making it difficult for us to reconcile and live in peace and dignity in Sri Lanka. Please stop your continued ‘agitation’ against the SL govt: and people. You idiots think you are doing the Lankan Tamils a favor… but you are NOT our Hero! You are only making things worse for us. Please Stop.